Recently a friend invited me over for supper and served lasagna. 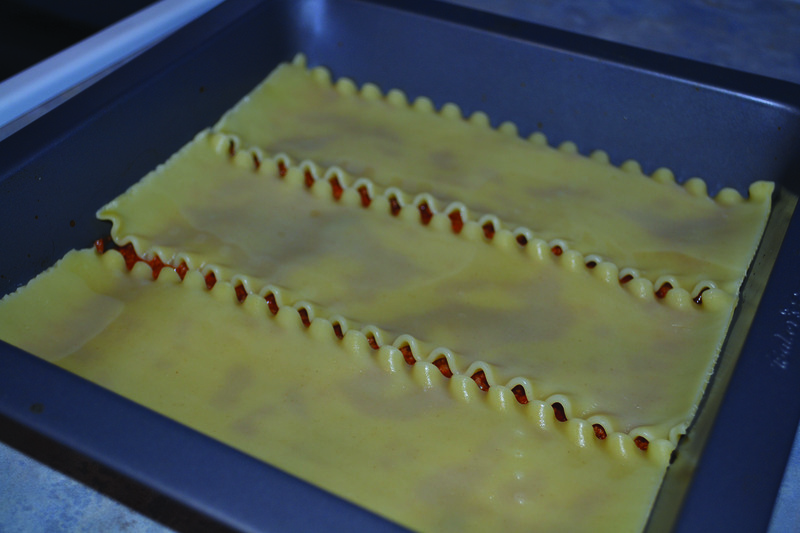 This inspired me to make my own lasagna. Of course my version is a little different from hers, and probably a bit different from how you make it. I usually make a very basic lasagna recipe. 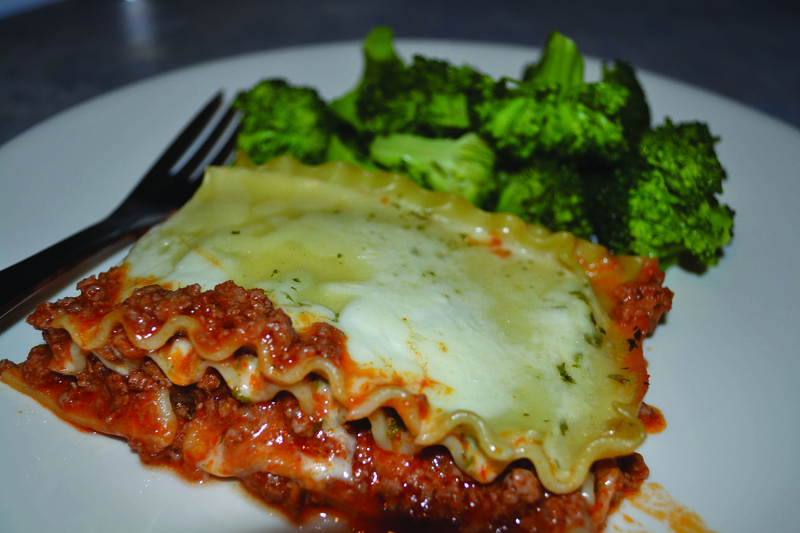 Check it out and let me know how you make your lasagna. I’m sharing this recipe for Hunk of Meat Monday. This recipe is made with beef from my family farm. For Hunk of Meat Monday I’m linking up to Beyer Beware’s blog at: http://www.beyerbeware.net/p/hunk-of-meat-monday.html Visit her blog for lots of great meat recipes. Directions: Brown the ground beef. Drain the grease if needed. Add the spaghetti sauce and simmer for five minutes. 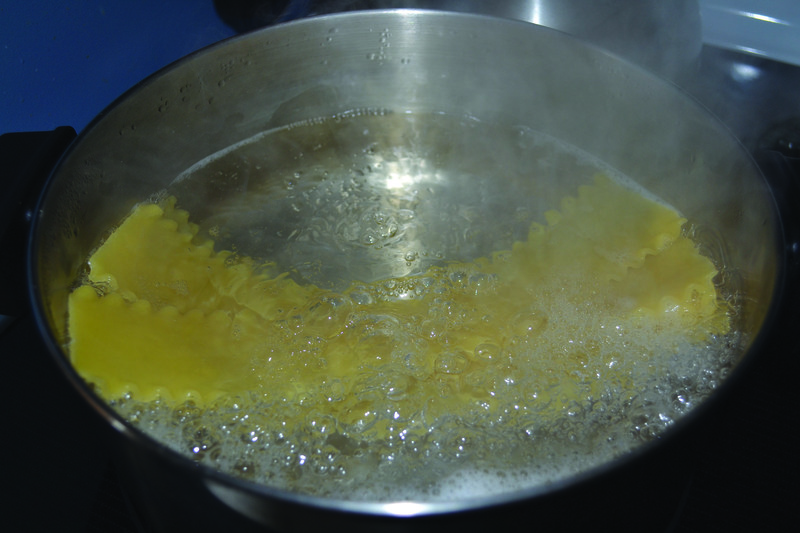 Meanwhile, cook the lasagna noodles in boiling water. In a bowl, mix together the cottage cheese, 2 cups mozzarella cheese, eggs, half of the grated Parmesan cheese, dried parsley, salt and pepper. 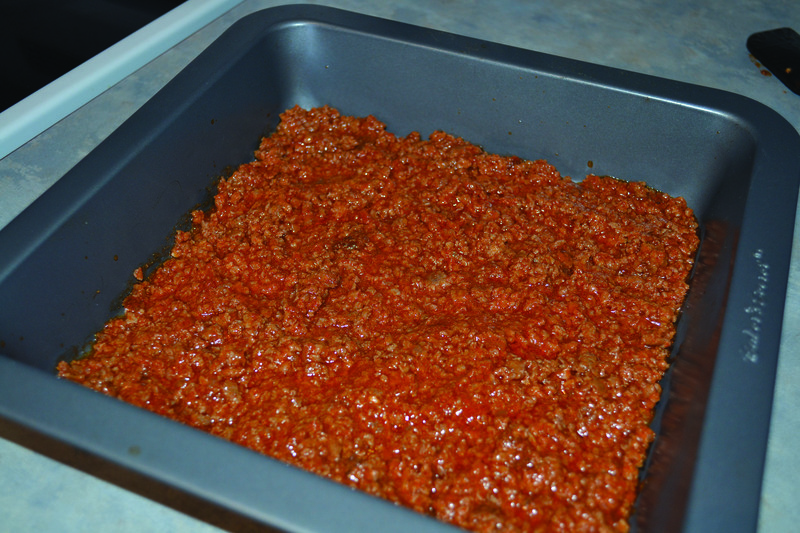 Assemble the lasagna in a 9 by 13 pan (you’ll notice I used a smaller square pan because I wanted a smaller lasagna). You can alternate the layers however you like. 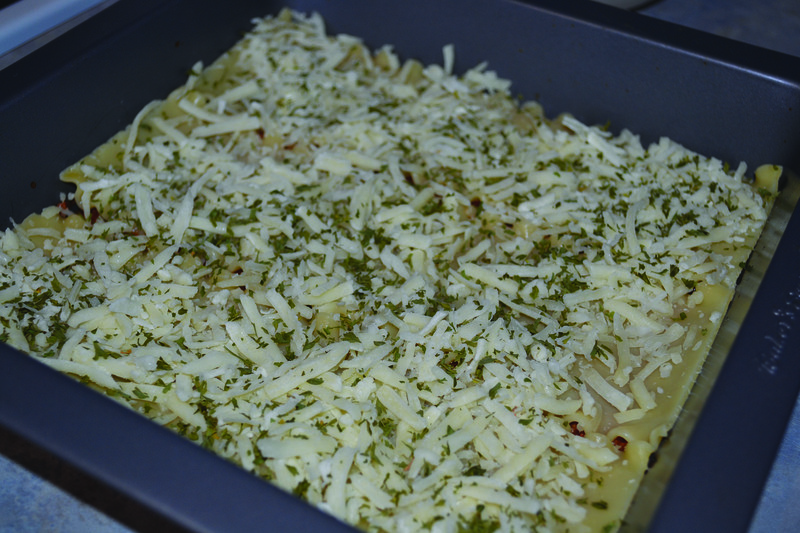 This is how I did it: meat sauce mixture, lasagna noodles, cheese mixture (repeat). Top with remaining mozzarella and Parmesan cheese. Add 1/2 cup water to the edges of the pan. Cover with aluminum foil. Bake at 350 F for about 45 minutes. Uncover and bake an additional 10 minutes. Serve. You may not recognize the handy kitchen gadget I’m using in the photo below. 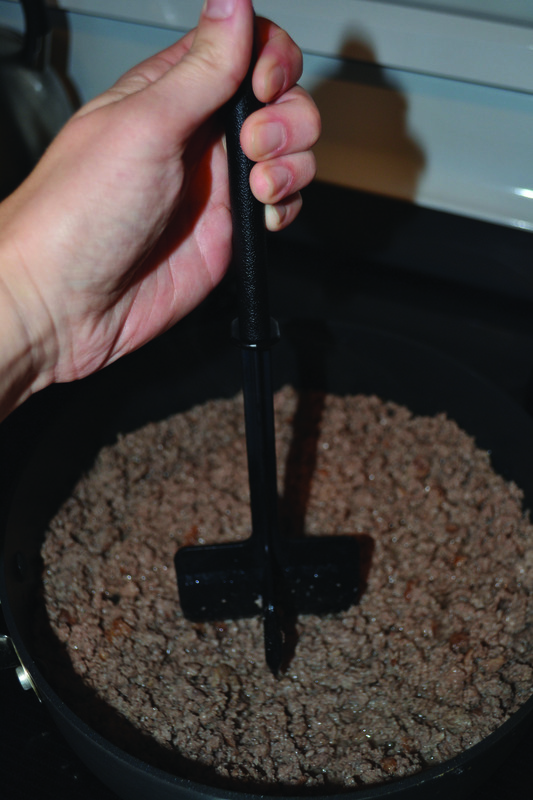 If you’re like me and don’t care for lumps in your ground beef, this tool is for you. It works great for removing the lumps. Basically you just press it down all over the meat. I bought it at a store in Minneapolis (can’t remember the name), but my mom also has one that she bought through Pampered Chef. 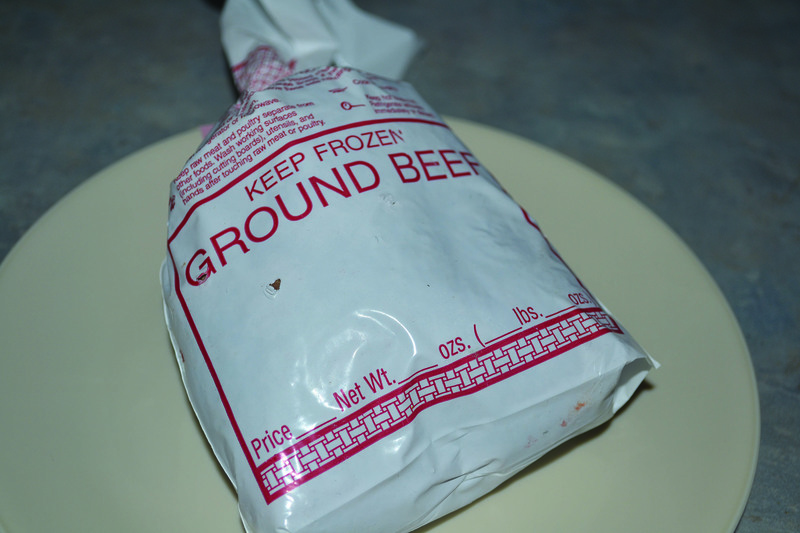 Handy kitchen gadget to remove the lumps from the ground beef. I added spinach and sometimes ricotta cheese. I also made a white sauce for the top. Spinach is a nice addition. I would have added it if I had some on hand. What’s in the white sauce? I just love lasagna! I don’t normally make it because my mom’s is so good, I don’t think mine could compare! Yours looks fabulous! Thanks for reading and commenting, Nancy! I’m sure your lasagna would be delicious! If you add extra liquid you don’t have to precook your noodles or buy the special ones. Less messy. Another smart woman who uses cottage cheese in the lasagna. My husband thinks I am weird. Nothing beats a good lasagna. Thanks for linking up to Hunk of Meat Monday! Thanks for checking out my post, Leah! Hunk of Meat Monday is a great idea. I enjoy reading other people’s recipes.